Australia is a country and a continent surrounded by Indian and the pacific oceans. The Sydney opera house is the most famous in Australia. Australia is one of the most tourist and immigration destinations. Its offers many benefits to immigrants who come here to for free health. Australia is a dream destination for millions of people across the world stunning beaches, high living standards, and vibrant life styles. Australia is a fabulous country where the people belong to various diverse cultures and has no restriction in religion or cast and English is accepted as main language widely used in Australia. The People are friendly by nature, open minded, frank by nature and maintain peace and harmony in each other's country. 1.You will be entitled to get the FREE medical services for you and your family. 2.Your kids can get FREE education benefits up to Secondary level and further huge discounts in the fees as a Permanent Resident of Canada. 3.You can earn approx. 4000 to 6000 $ per month depending upon your occupation. 4.You can VISIT in many countries on Arrival basis. 5.Advantage of getting Unemployment Insurance Benefits: you can get paid by the government if you lose your job. 6.You can call your parents after a period of 1 year on their own migration based on family migration. 7.Your entire family can get the Permanent Residency/Green Card within 10-12 months. 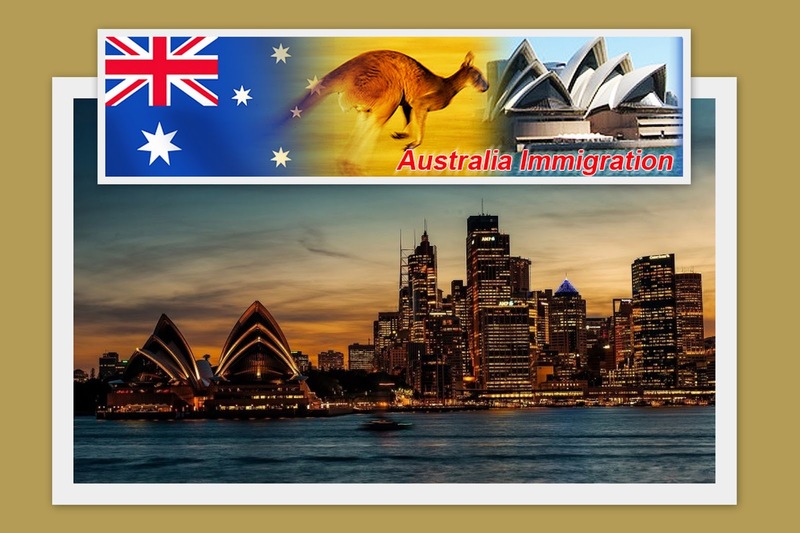 Australia is well known for its organised and uncomplicated immigration policies. 1) Must be under 46 years age. 2)Appropriate score in IELTS certification minimum 6.0 in all. 3)Minimum score should be 60 points in the point based system on key profile factors,i.e. 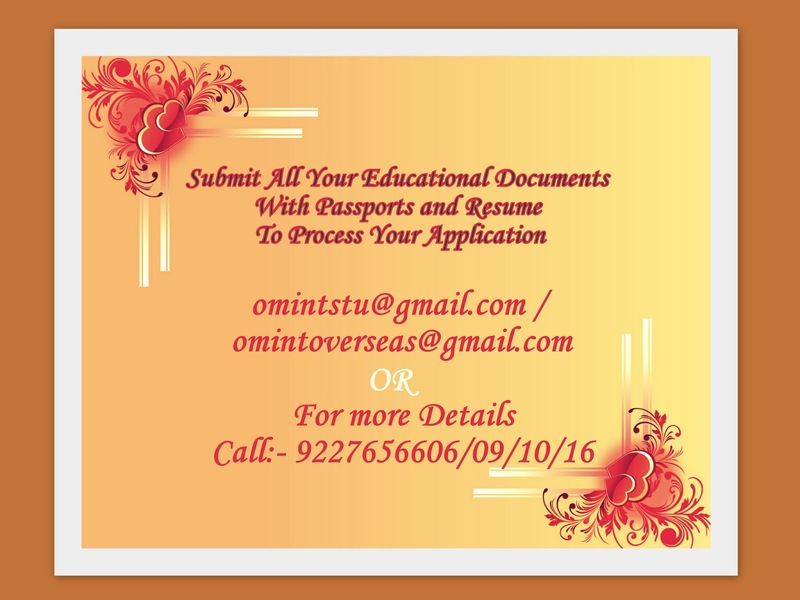 age,education,English proficiency, work experience etc. Higher the points, the chances are higher of getting selected. 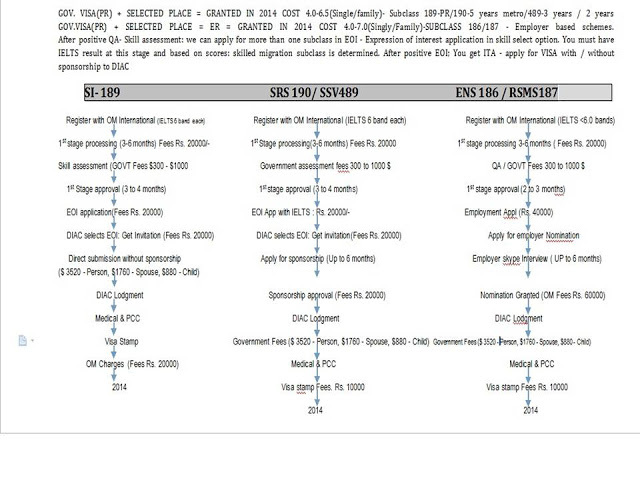 Usually it takes from eight months to one year depending upon the visa type and category you choose. Skill Select is a major change to how Australia manages its skilled migration program.Skill Select helps to ensure the skilled migration program is based on the economic needs of Australia. It will support the Australian Government in managing who can apply for skilled migration, when they can apply and in what numbers. As a result, we expect to significantly reduce the time taken to process a visa application.Skill Select will also help address regional skill shortages. Skill Select allows intending migrants to indicate if they are willing to live and work in regional Australia. This will be of particular benefit to employers experiencing regional skill shortages and state and territory governments attempting to settle migrants in regional Australia. Skill Select is an online service that enables skilled workers and business people interested in migrating to Australia to record their details to be considered for a skilled visa through an Expression of Interest (EOI). Intending migrants can then be found and nominated for skilled visas by Australian employers or state and territory governments, or they may be invited by the Australian Government to lodge a visa application.From 1 July 2012, all intending migrants interested in the points based skilled migration or business investment and innovation visa programs will be required to submit an EOI and receive an invitation in order to lodge a visa application.